Fresh blackberries with a smoky heat. 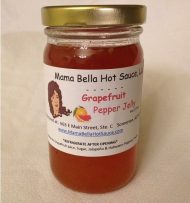 Awesome on bagels or crackers with cream cheese, great for PB&J sandwich. Smear some on your pork chops for added flavor!